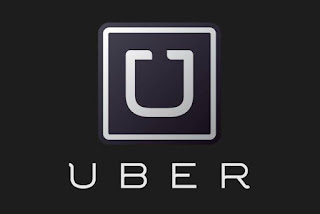 While driver and rider matching service Uber continues to operate in London, and the firm readies itself for appealing against the decision by Transport for London to refuse it another operator’s licence, some harsh realities are coming home to roost, not least of which is the sure and certain knowledge that the Uber app is, in its current form, illegal - it does not comply with Private Hire regulations. Full stop. That much is bad, but what is worse is that Uber, and possibly others, lied, span, and otherwise covered up this mildly inconvenient item while the company poured resources into its London operation and racked up tens of thousands of drivers, thus making it very difficult to dislodge. Pushing ever cheaper fares bred a generation of dependent users, many unwilling to do the Cold Turkey and wean themselves off the habit. But all that is small fry when put alongside the realisation that the then Coalition Government was not only happy to see Uber arrive in the capital - it was prepared to bend the arm of anyone and everyone who stood in the way of modern-day robber baron Travis Kalanick and his merry men. We are now getting a picture of the deceit after FoI requests revealed some most embarrassing information on those concerned. 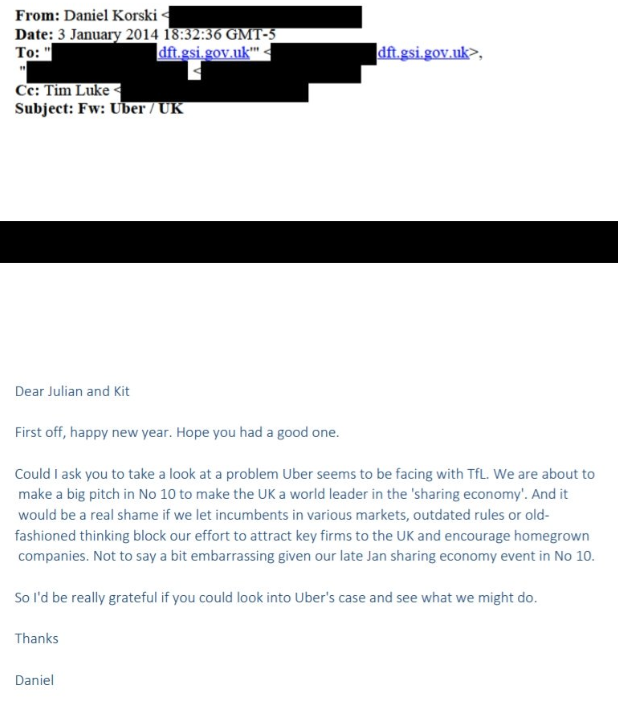 The crucial correspondence begins at the start of 2014, and is kicked off by Daniel Korski who told Julian Glover and Kit Malthouse on January 3 “Could I ask you to have a look at a problem Uber seems to be facing with TfL. We are about to make a big pitch in No 10 to make the UK a world leader in the ‘sharing economy’. And it would be a real shame if we let incumbents in various markets, outdated rules or old-fashioned thinking block our effort to attract key firms to the UK … So I’d be really grateful if you could look into Uber’s case and see what we might do”. This suggests TfL had a problem with Uber’s operating model. 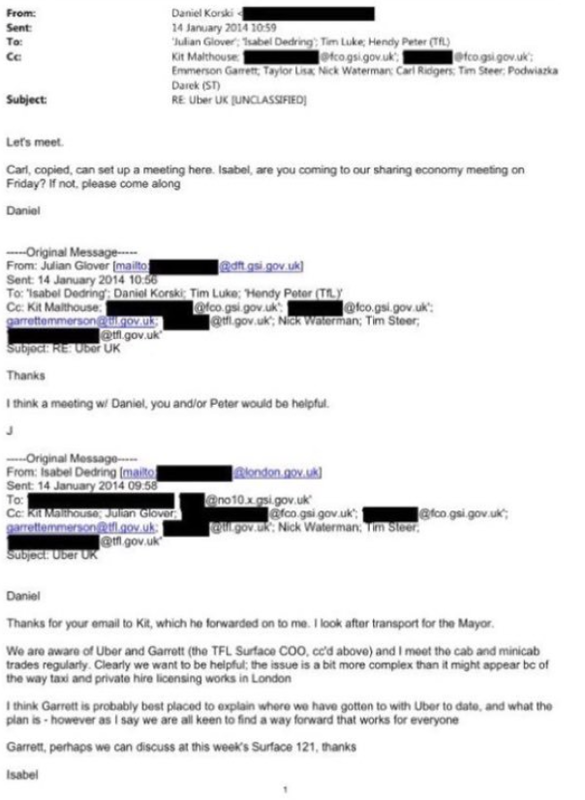 And, as if this were not blatant enough, Malthouse emailed Isabel Dedring the next day “Plea from Number 10. Suspect the issue might be more complex than it seems but can we chat next week? Better for us to sort than DfT” [my emphasis]. 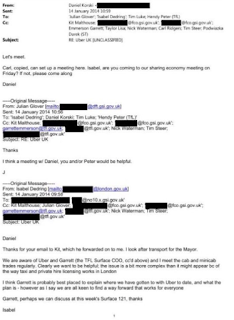 She got back to Malthouse on the 14th and was encouraged to report directly to Korski after telling him “it’s not totally straightforward [because] of the taxi [regulations] but I am sure we can sort”. So back she went to Korski, telling him “Clearly we want to be helpful, the issue is a bit more complex than it might appear [because] of the way Taxi and private hire licensing works in London”. This gives every impression that the potential illegality of the Uber app was already known - without the IT experts having to prove it. 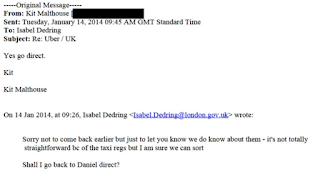 Meanwhile, an email to Ms Dedring asserts “Their [Private Hire] license is not in question” before admitting “The biggest problem we will have is … the Private Hire trade who will be up in arms when we confirm we’ve got no problem with the way Uber are operating”. It also acknowledges that the taxi trade will also be opposed to the move. Any problem appears to have been sorted by the 21st, when Peter Hendy emailed “I think Isabel’s meeting someone from No 10 who is anxious that Uber are allowed to continue in business; that’s OK, I’d say - meeting Uber isn’t”. So lobbying from Downing Street was OK. And whatever the problem TfL originally had was overridden. That’s not good enough. The original objection has to be made public. And it will be, however uncomfortable it may prove for another group of those here today and gone tomorrow politicians. So much for the rule of law, Taxi & PH regulation is there for good reason, why iwad some policy wonk allowed to intervene in legal matters? Tories and LibDems in corruption shocker. Nor would it have been much different if the New Labour spivs had been in control. We get the kind of far right politics we deserve. 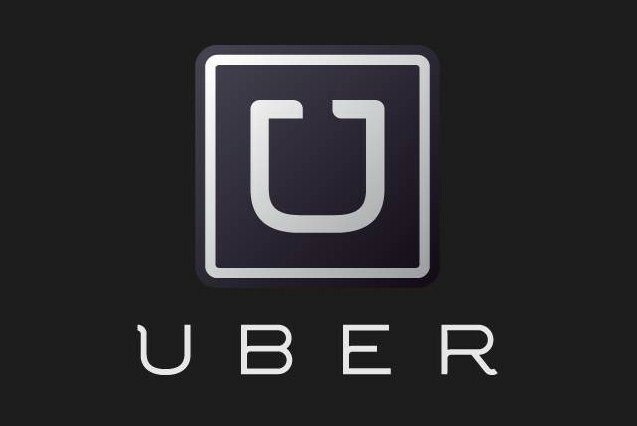 Uber is just one more symptom. Shouldn't moral hazard mean that they can't be allowed to fix themselves once caught, and just carry on, but outright blocked from operating again in London/UK? Those Politicians and bureaucrats involved are nothing more than a bunch of conniving,lying, devious, Uber arse-lickers. Those found guilty of wrong doing should face time in prison as it's apparent that they knew they were doing wrong and did it anyway. No fines (as it expect they'd be paid by someone with connections to uber). They say crime doesn't pay. It seems to be paying these bent politicians very well indead. Raheem Kassam - U OK Hun? Nigel Farage - Arrest Soon? Toby Young - Where Was The Press?